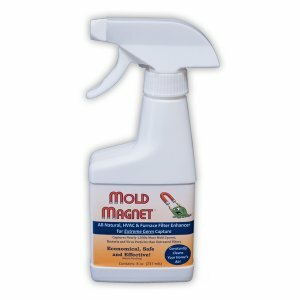 Spray on your furnace filter to capture molds, bacteria and virus particles. A convenient spray designed to treat furnace filters and other types of filters. Each bottle is sufficient for 1 to 3 years of filter changes. Increases capture of allergens, preventing them from spreading throughout the air vents. Captures nearly 1,000x more mold spores, bacteria and virus particles than untreated filters in independent testing. Use MOLD MAGNET® Furnace Filter Enhancer for extreme germ capture in your furnace. 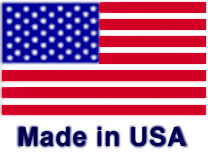 Greatly enhances standard HVAC filter’s ability to capture molds, bacteria and virus particles by nearly 1000-fold. Save $5 to $10 on every filter you buy without loss of filter life. Each 8oz. bottle is sufficient for 1 to 3 years of filter changes. Increases capture of mold, bacteria, viral particles and other allergens, preventing them from spreading throughout the air vents. Captures nearly 1,000x more mold spores, bacteria and virus particles than untreated filters in independent testing. Keeps working for the full life of the filter. 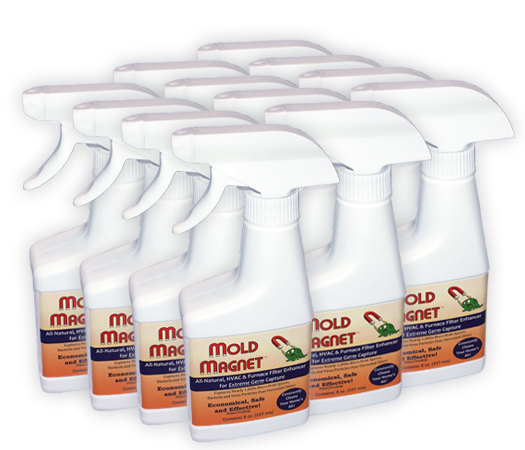 Microbes preferentially stick to the bio-molecules contained in the MOLD MAGNET spray!